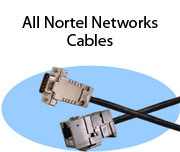 At Stonewall we manufacture the most extensive line of Nortel cables available. We also offer the older style Bay Networks cables. 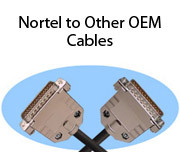 Our Nortel cables are available in the length you need and many are available with custom options such as a plenum rated jacket! Most orders ship within 3 days! 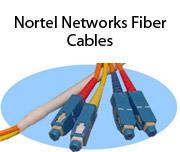 We manufacture a full line of Nortel Networks fiber cables; unfortunately, not all our fiber cables are currently available for online purchase. If you don't see the Nortel fiber cable you need for your application, please call 800-525-3303 or e-mail us for assistance. Most orders ship within 3 days!